Structural Differnece between LIC and Pvt. Cos. 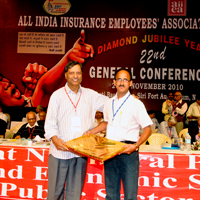 The recent clarification by Insurance Regulatory and Development Authority Chairman that the Life Insurance Corporation of India did not break any rules and certainly it would not transfer money from one account to another in violation of the existing guidelines had brought cheers to millions, but it left them also wondering. “What is meant by transfer of money from one account to another? Why it is not permitted and does this restriction apply to LIC? To answer these questions, one has to understand the structural difference between LIC and private insurance companies. In the case of private insurers, the Insurance Act has been amended, giving the shareholders 10 per cent of the profits emerging under participating (with profit) policies and 100 per cent of profits emerging under non-participating (without profit, including unit linked) policies. This difference in share of surpluses emerging from participating and non-participating policies means that the two surpluses have to be estimated separately. This, in turn, necessitates insulation of funds pertaining to participating policies from funds pertaining to other policies, so that no part of the surplus emerging under participating policies gets transferred to non-participating policies and, from there, to shareholders. So, the new insurance companies have to maintain a minimum of two funds and, naturally, inter-fund transfers are not permitted. What about LIC? Sec.24 of the LIC Act states “the corporation shall have its own fund and all receipts of the corporation shall be credited thereto and all payments of the corporation shall be made therefrom.'' What this apparently innocuous looking Section implies is important. 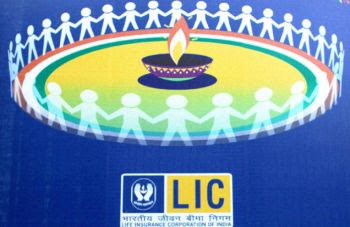 LIC can have only one fund (known as Life Fund). When there is only one fund, there cannot be any inter-fund transfer. What about intra fund transfers? The ‘valuation surplus' at the end of each year is to be determined as the difference between the value of assets and the total liability under all policies, as determined by the actuary. The total liability is determined by estimating the liability under each policy and adding up all the liabilities. According to Sec.28, not less than 95 per cent of this surplus shall be allocated to or reserved for participating policyholders. The surplus will be emerging under some policies (majority of non-linked assurance policies and linked policies) and the deficit under some assurance policies and pension policies. Wherever there is a surplus it increases and, wherever there is a deficit it decreases, the total surplus. It is the final net surplus that matters. Though LIC has only one fund, this fund is notionally divided into a number of sub-funds corresponding to each class of policies (non-linked, participating, assurance fund and non-linked, non-participating, assurance fund). The assets pertaining to each of these funds are also kept in separate baskets. This is mainly to assess which class of policies is making adequate profits, under which class the profits are inadequate and which class is making loss, study the reasons for the same and take appropriate corrective measures. At the end of each year, the value of assets in the baskets corresponding to each class of policies is to be made equal to the total liability under that class by appropriate shifting of assets from the surplus baskets to the deficit ones. Since the maintenance of different baskets of assets corresponding to each class of policies and shifting of assets from one basket to another are purely notional, no accounting entries need be passed. So, intra-fund (or inter account) transfers are not necessary. Why do 95 per cent of all profits go to participating policyholders? The premium paid by a policyholder is made up of many components. In the case of participating policies, there is an additional component known as bonus loading. The premium amount corresponding to this additional component is returned later, with interest, in the form of bonus, final additional bonus and loyalty addition. During the tenure of a policy, it is possible to use a part of this additional amount, temporarily, to create an implicit reserve, which is effectively equivalent to capital. The entire capital of the corporation is thus indirectly and implicitly coming from participating policyholders, who are its real shareholders. So, not less than 95 per cent of the net profits, including those emerging under unit-linked and other non-participating policies, gets allotted to participating policies. Effectively, the participating policies get a major share of the profits earned and the losses suffered by a life insurance company. Their position is similar to that of equity shareholders of a limited company.